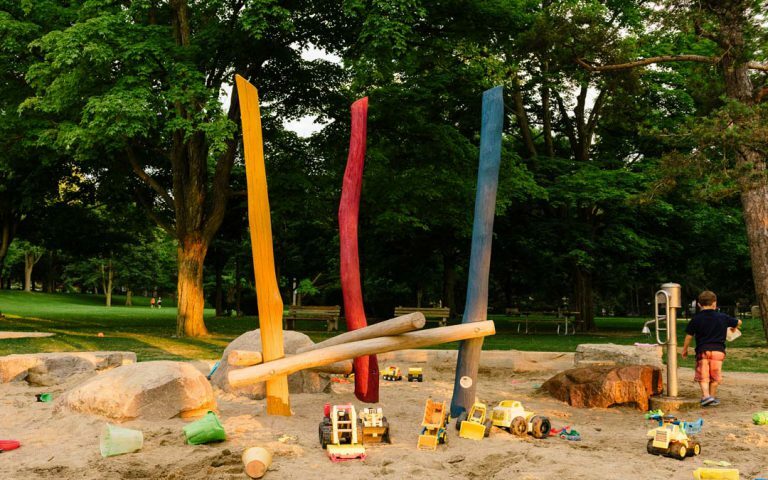 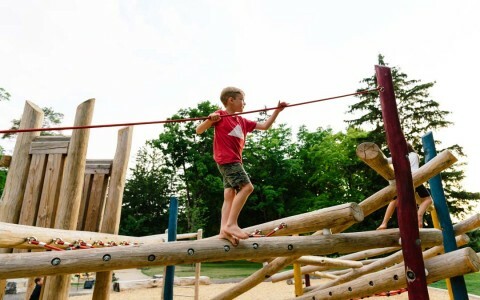 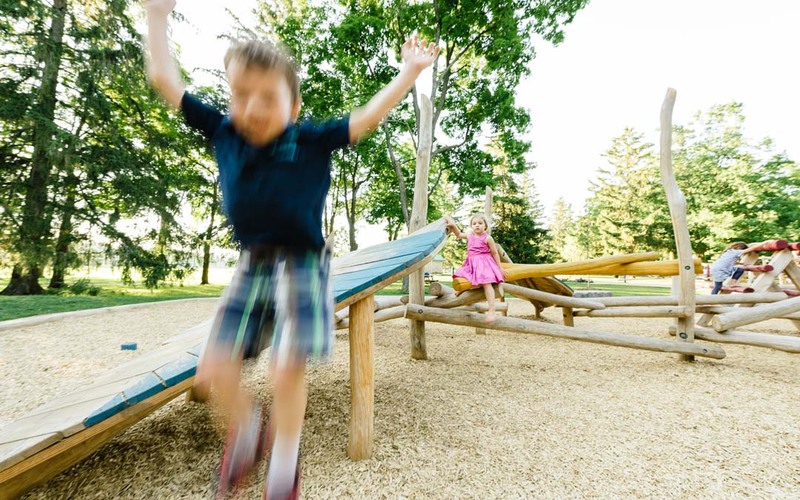 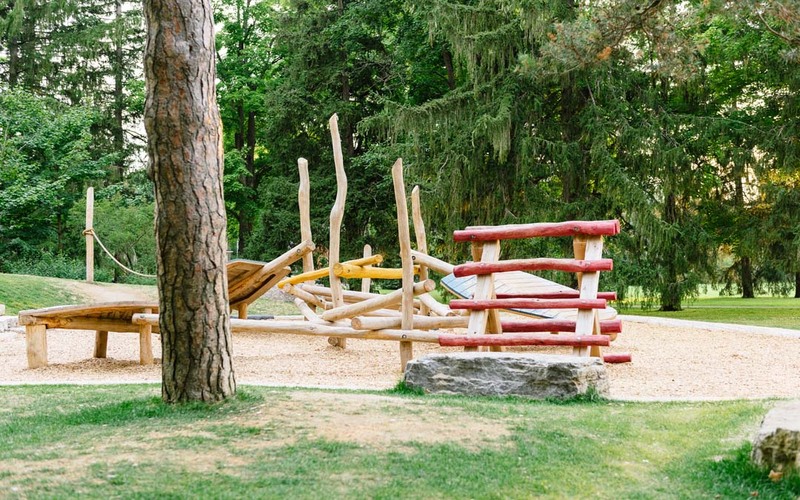 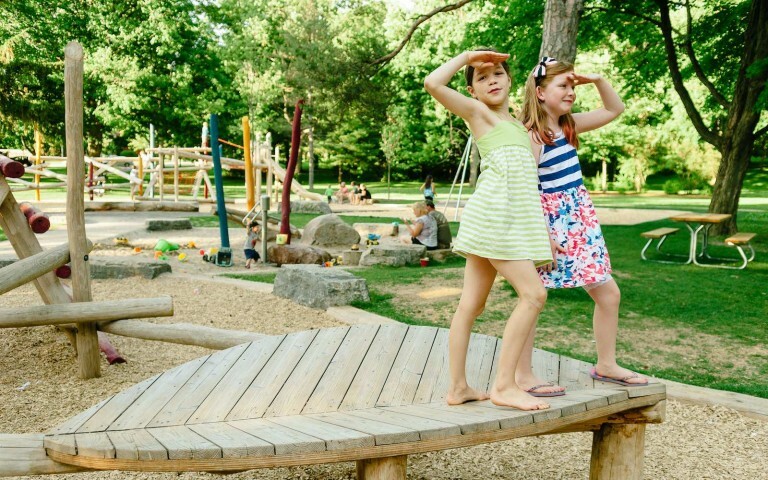 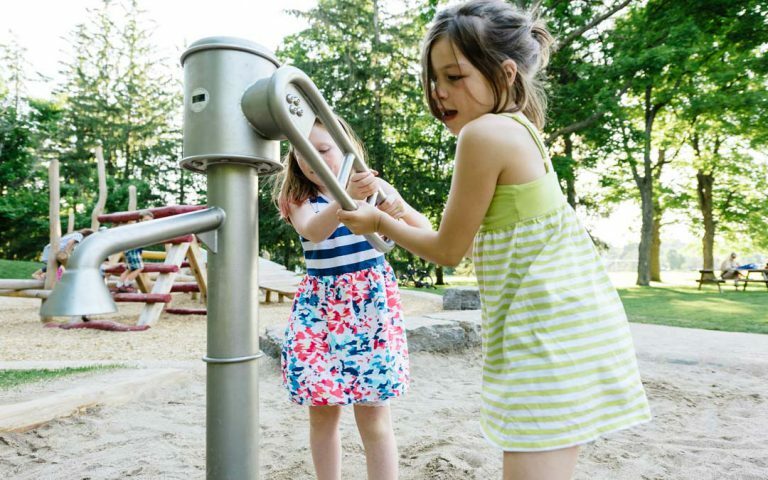 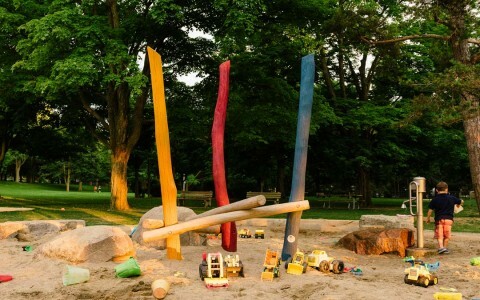 The City of Guelph selected Earthscape to design and build a custom timber play space in Exhibition Park, one of the city’s oldest and most valued green spaces. 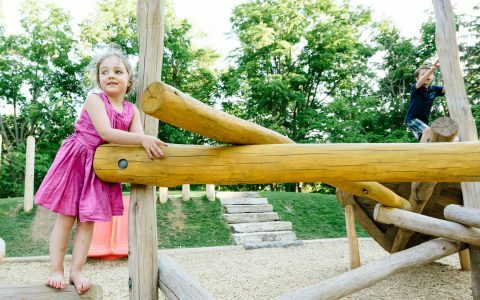 With mature trees and rolling topography, Exhibition Park provided a beautiful backdrop for this adventurous community play space. 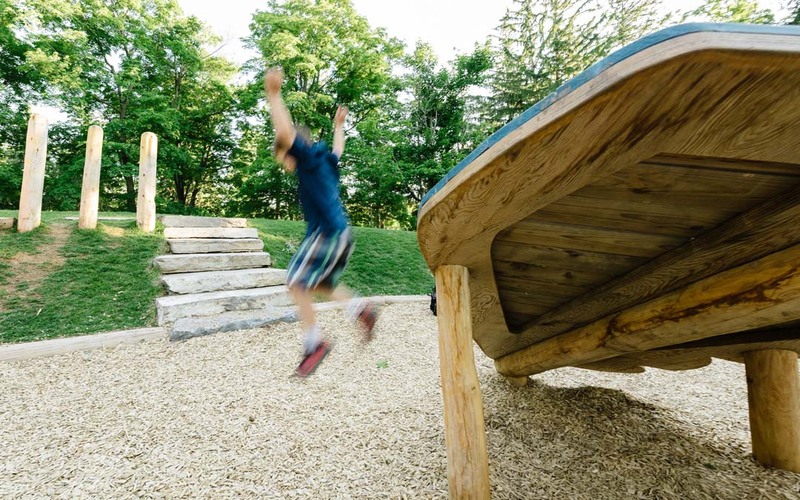 The local neighbourhood association who advocated for the playground contributed greatly to the collaborative design of the site. 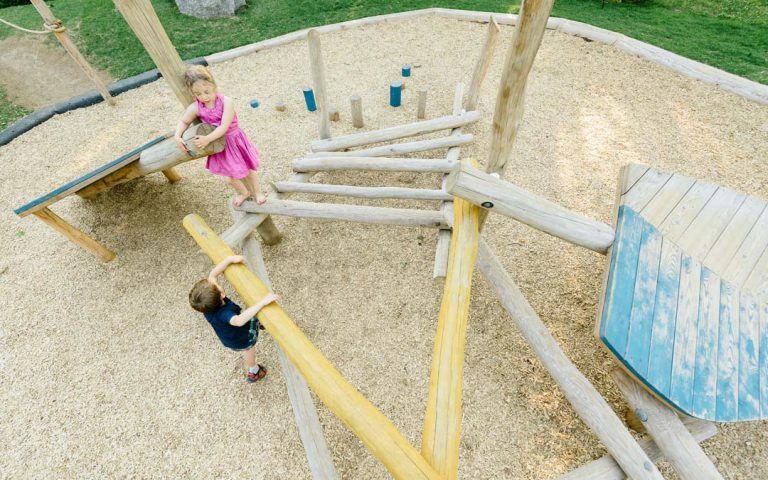 With a large available footprint, the playground makes use of multiple zones of play for different ages and abilities. 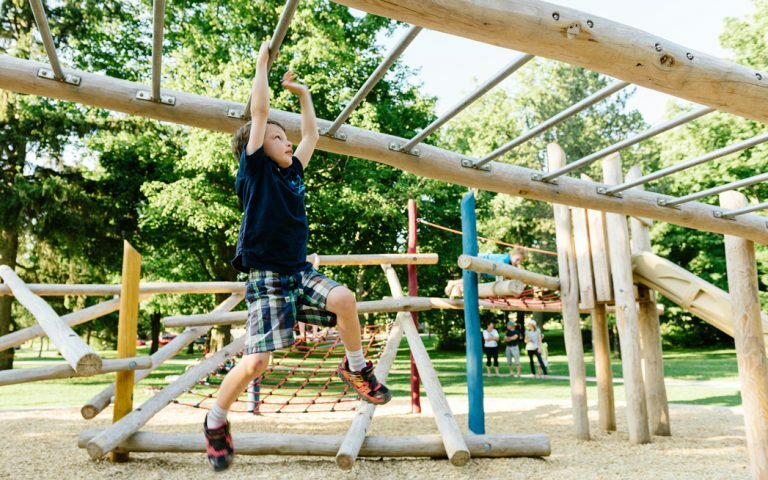 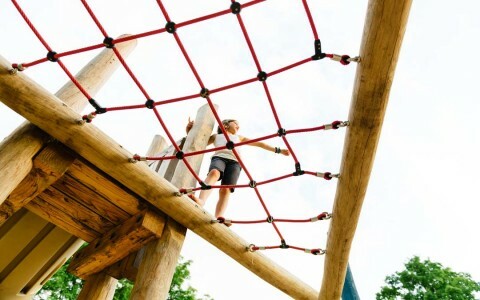 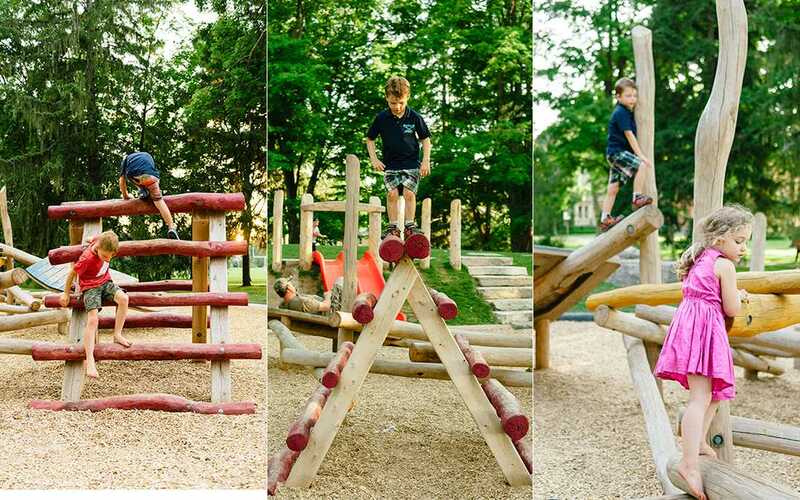 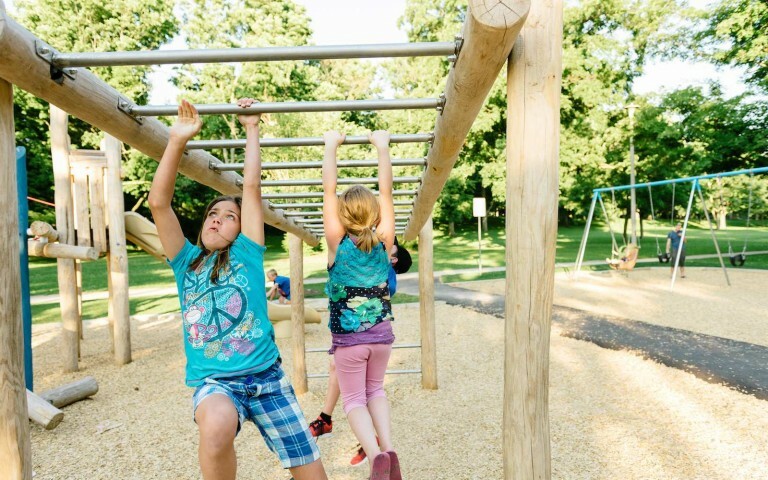 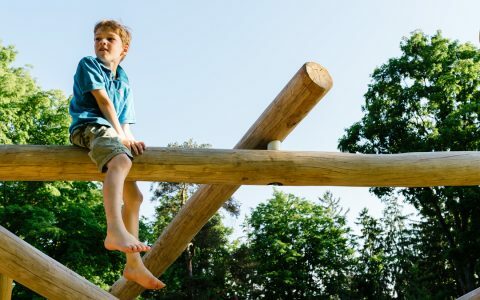 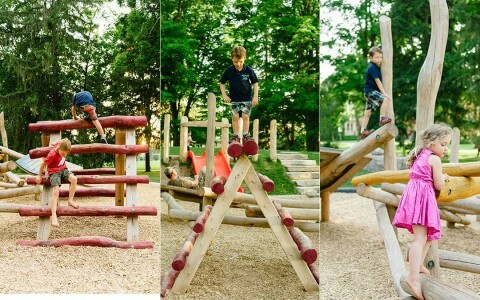 A large log jam™ challenges older and more daring children and adults while a smaller log jam™ and angled platforms are a perfect starting point for younger or less confident climbers. A hill slide was built into a man-made berm with climbing timbers. 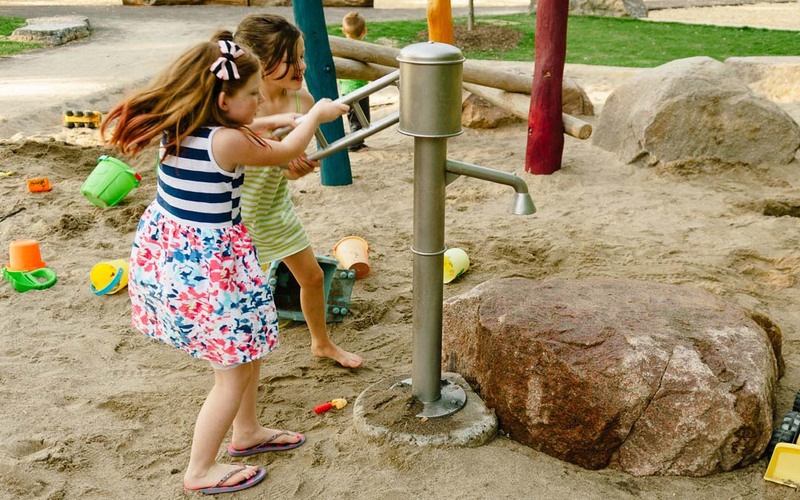 Toddlers love the water pump and sand play area that includes boulders and play posts. 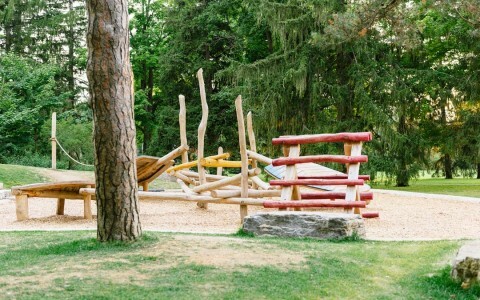 Pathways connect the playground zones. Strategically located boulders provide seating while additional trees were planted to provide future shade.